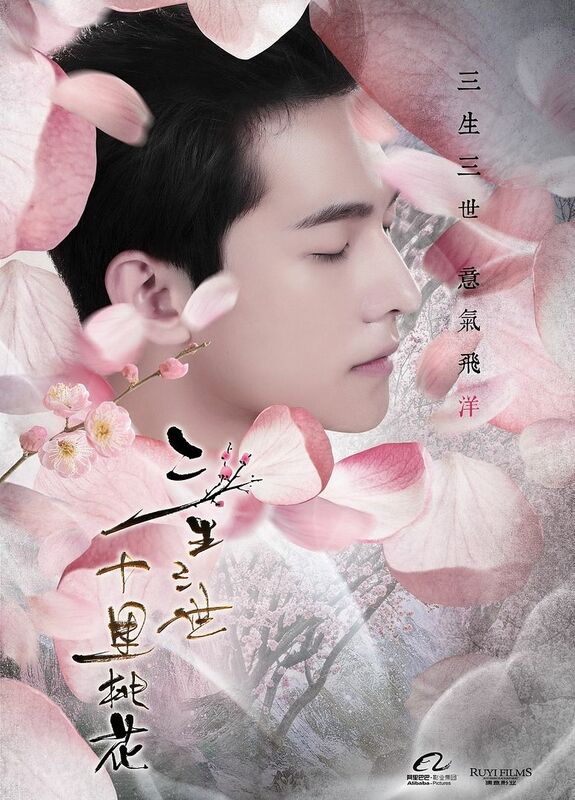 Yang Yang‘s promo posters! Yes, we know he has a pretty side profile. 😉 Let’s get those costumes fitted! Reposting Liu Yi Fei‘s promo poster. Why are they so pretty…. Produced by Alibaba Pictures and Ruyi Films, Three Lives Three Worlds, Ten Miles of Peach Blossoms is directed by Zhao Xiao Ding (House of Flying Daggers, The Flowers of War) and Anthony LaMolinara (Spider Man 2), the film adaptation begins filming at the end of December. This entry was posted in Entertainment News and tagged CMovie, Crystal Liu Yi Fei, Novel Adaptations, Once Upon A Time (三生三世十里桃花), Three Lives Three Worlds Ten Miles of Peach Blossoms (三生三世十里桃花), Yang Yang by Kappy. Bookmark the permalink. Oh my. The visuals for this drama will be damn high. Does that mean it is a “Jie Di Lian”/Noona Donsaeng romance? Anyways they are both soo pale they’ll definitely look like ethereal characters. *Sigh. The pretty. Gaah, they haven’t even started filming yet and I am already excited. Can’t wait! I should reread the book sometime. So much pretty in one post! HELL YES to Yang Yang! Woot! OMG! im a quiet lurker but i really like your blog. I’ve only occasionally post before but never too frequent, but trust me when i say that I check your blog almost everyday! IM SUPER EXCITED FOR THIS MOVIE TO COME OUT. Honestly one of my favorite XianXia chinese novel. Excited ttm because it’s Yang Yang!!! BIG fan of his!!! And he is acting in the same movie with LYF, gosh~ excited!!! Good news for me! it would of beeb more awesome if it was eddie peng and lyf. I’ve only seen yang yang in a couple of thing, cute, but a little too boyish for me. The movie sounds interesting, ill give it a try for sure! Are Yang Yang’s fan girls still picking a fight with everyone in China? YAY YANG YANG! I’m excited for this! LYF will look amazing as always, she just fits traditional costumes so much. Can someone tell me more about the story? Spoil me! hahaha. I read the summary on Baidu but still didn’t understand the plot much. Forgive me for the very basic and what i can remember about the story. Since i read this in vietnamese i will stick with the actors name. Lyf character actually goes through three life times. Her predominant one is the high celestial BQQ. In her 1st life time she pretends to be a boy to go learn magic or something and meets two men. She fell in love with one and he loved her although he thought she was a guy. Although he loved her he could not accept he was gay so he married another woman. This woman hates her and is her enemy throughout the three lives. Heartbroken she befriends and starts to like the 2nd guy. 1st guy comes back. Something happens i dont remember what and the 2nd guy dies and she gets banished to the mortal realm. Here she starts her 2nd life and meets our lead guy. They fall in love and have a child together. Neither one knows the other is a celestial being. She had no memory of her previous life but he does. Lead guys ex girlfriend comes looking and does something and forces the lead guy to gouge out BQQ’s eyes, as they were exceptionally beautiful, and present it to her as a gift. Lead guy does so only to save her life but he doesn’t tell her that. BQQ commits suicide in front of him and returns to her original form, her memories are once again wiped out, however as she had lost her eyes as a human, she is extremely sensitive to light so covers her eyes with a cloth. When the story starts, in the third life, both had returned to their original form, a marriage is arrange between the two and BQQ does not agree so.goes to see them to absolve the marriage. He remembers everything and tries to win her heart again so they could reunite as a family. All the previous people from the previous two lives eventually all make an appearance. BQQ eventually remembers her past lives. Yes, that’s the gist of it. I read it more than three years ago so my memory is just as fuzzy. I remember liking the scenes when they were down on earth though. Oh and their son Xiaonuomituanzi (iirc) haha. Seems super interesting…but I feel like a movie would be such a bad idea. They can’t fit all that into a movie, and still develop the characters and relationships to their fullest as well. Love LYF and YY, but I hope this movie version doesn’t fail as bad as the BBJX movie version did. A movie just too short to fully develop everything, and I think the audience will just be emotionally detached from the characters. I feel the same way. There is way too much plot to cover in one movie. I have a feeling they are going to dedicate like half an hour to the 2nd life where the two met and fall in love then part then live the remaining hour to cover the 3rd life where they meet again. They wont cover the parts where she was a boy. They might even skip out on the child. Which is a pity. I likes BQQ the most then her child little dough then her sifu, the guy she fell in the 1st life that died. I did not like the main guy. WHAT? This story sounds crazy too! He gouges out her eyes….to save her. OMG. This is like HQG all over again for me. Good thing it’s only a movie. If you guys are afraid that movie version won’t fit in all the details, just watch the drama version… leads are potentially Mark Zhao and Yang Mi. YeHua is not like BZH at all so don’t worry. BQQ’s a goddess so she actually doesn’t go through life cycle but its trials that she goes through. BQQ fought with this evil monster but he cursed her and she lost her memory, thinking herself to be mortal and living on earth in the mortal world. Yehua gets send out on a mission to go kill this mystic beast and afterward gets injure and turned into a snake, the smaller version of his actual dragon, and hid in a cave. She found him and took care of him so he started to fall for her but he’s still in snake form. He leaves her because he was jealous that she took in a duck and started to pay more attention to the duck than him. He comes back as a human and intentionally harm himself so that she is force to take care of him and he can pay her back with himself since he won’t have anything to offer her. They started to fall in love but she is mortal so he doesn’t want their romance to get expose for fear of what his grandfather, the ruler of his kingdom/realm, would do to her. She got pregnant later. Yehua then gets sent on another mission to kill another mystic beast and was going to pretend to die in battle(have his uncle cover/lie for him) and stay on earth with BQQ. He created a barrier to keep her hidden from the gods’s notice but she got out accidentally somehow and his grandfather found out. He ordered Yehua to bring BQQ to heaven and give birth to the son there. Yehua lied that he does not love BQQ but that she saved him and he payed her back by giving her a child. He did this to protect her from harm. Yehua doesn’t visit her often because he doesn’t want to cause suspicion for their relationship and so she got really lonely and thought why would he bring her when he doesn’t love her. Then there’s also SuJin who is this adopted princess who is after Yehua. She is also Yehua’s concubine but Yehua doesn’t care about her nor pay her any attention. She gets jealous and brings BQQ to this cliff and tell BQQ that if she jumps down then she would go back to earth but in truth the cliff causes death even for the gods. She made it look like BQQ pushed her and she lost her eyes during it. In return, Yehua have to give something of value from BQQ to SuJin which was either her eyes or her life. He chose to give her eyes in exchange even though she begged him not to. He then have to take on a lighting strike punishment for what BQQ did to Sujin to balance out the exchange. BQQ gets even more sad and lonely. After she gives birth to A’Li she goes to the cliff and jumps down, thinking it will get her back to earth. Yehua get there too late and watched as BQQ commit suicide in front of him. In his anguish, he also jumps down after her and almost died but his grandfather got there in time to exchange his life force to save Yehua. His grandfather did not think that he would push Yehua to this far, to the brink of committing suicide. Yehua confront Sujin about being in on the plan of tricking BQQ along with the grandfather and Yehua coldly stab her with his sword intending to kill her. After jumping, BQQ is on the brink of death and has regain her memory. Her mother found her all bloody and missing her eyes. Their family friend fix her fake eyes and healed her. She then goes and beg him for his memory forget pills and he gave it to her. Losing her memory and going through pain was all a trial for becoming a high goddess. A long time later, when the story picks up Yehua and BQQ are engage but because BQQ doesn’t go out much he doesn’t know who she is. They meet at a wedding with A’li recognizing her as SuSu(what Yehua call her mortal self) and asking why she left him and dad. Yehua meets BQQ for the first time and realize that she was his SuSu and that her real identity is BQQ the high goddess also the monarch of the nine tail fox clan. He realizes that she had gotten rid of her memories and forgotten about their life together. Through out the book, he tries to win back her heart for a second time but this time he has a lot more competition with BQQ’s old flings tryna get back into her life again…. The thing is, I’d rather watch a drama version, but at the same time, I like the cast for the movie version waaaay better than the rumored cast for the drama version. I know LYF’s not the best actress, but I feel like she did a really good drama in her recent movie with Rain…she was a lot more emotive. Yang Mi, I haven’t seen her recent works yet, but I don’t have a good impression of her acting. And I really didn’t like Mark Zhao in the works I’ve seen him in (Black and White, Di Ren Jie). If only LYF and YY signed for the drama version instead. Same thing I thought too! If only the roles were switched….That way I can watch more of YangYand and LYF and not have to watch the movie one with Yangmi. I don’t know why but I just really don’t like Yangmi…Guess I’ll only be watching the movie version with YangYang and LYF who are too pretty for words. Hopefully they go all out with the costume and styling for these two because they are worth it. I hope so too. I think Bai Qian is decribed as the ancient beauty. There are remarks here and there about beauty and how she thinks she is really old and wonders about how the fairies nowadays differ from her time. And Yehua has this aura of heavenly lineage. However, i’m not sure if they’d have super lavish costume and all. I remember Bai Qian prefers more simple adornment and Yehua always wearing black. I think my interpretation of 3 lives 3 worlds is slightly different. I think in their first life together, as Yehua & Susu, she thinks Yehua has another beloved, Sujin and he’s just repaying a debt to a mortal, she ‘died’. 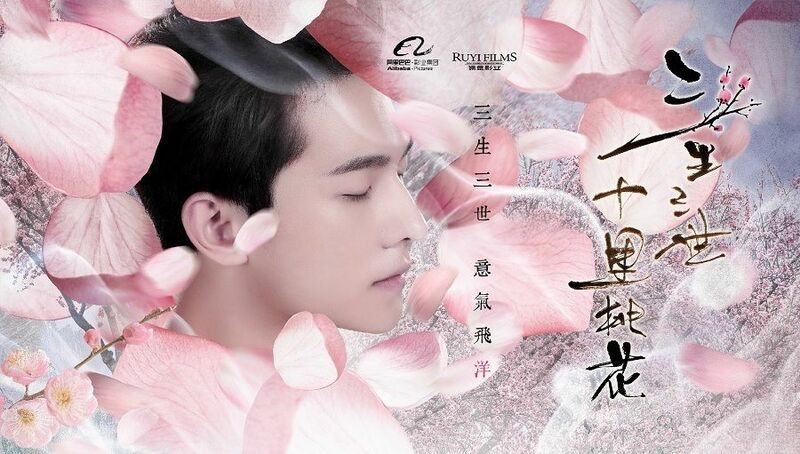 In 2nd life s Yehua & Bai Qian, he discovers how much Bai Qian is willing to do for her teacher and doubts whether he has a place in her heart, he also ‘died’. And at the end of the book we see they get to start living a third life together. I read some Pillow Books (not my type) and seems to live happily. I wonder if Yang Yang will ply both Yehua & Moyuan since it’s stressed they look like each other a lot. I really like the story and I love both leads as characters as well as OTPs. I admit when Yehua is first introduced I feel so sad for Susu because she was so isolated and lonely. I disliked him a bit. Then when they meet again, Bai Qian is just cool and aloof, that she cares about Moyuan so much and her sacrifices for him is…………..I feel sad for him. And he wants her to remember but not recall the past at the same time. Also that time when he asks will she forgive the one who takes away her eyes and she losts her eyesight, what if it was him. Her answer is they’d be over. So many heartbreaking moments and we later gets revealed of how much he loves her silently. However I do feel they lack communication and thus happy with the ending as they got another chance to be together ^^. Will they cover her eyes a lot since she has very weak eyesight? I hope the cloth/ribbon is transparent. LYF has such pretty eyes so they’re spot on on that. If they stick to the storyline they will cover her eyes for the most part. The cloth is transparent as she’s not blind, just sensitive. I have the same feeling as some of you. I would have preferred a drama with the two since i think LYF really needs to show people how much she’s improved so they’ll stop saying she’s a bad actress. I also really like Yang Yang and want him to take on a more mature role. I feel that LYF and YY are the perfect casting already so it’shard to imagine anyone else. I have never liked Yang Mi or Mark Zhao for some reason so I won’t be catching the drama if these two are cast. I really love reading these comments. I’m a big fan of LYF. I have always found her to be the only candidate who could play out Bai Qian. I know a lot of people have been bashing this novel to death these days due to its alleged plagiarism rumor, but aside from that, I do enjoy the novel. I find LYF’s real personality to be very unconventional yet logical and indifferent all in one, which is exactly how the character Bai Qian’s supposed to be. But there’s also something simple and naive in her that would make a great Su Su. Finally, at time she can be very boyish and down to earth that would make a great Si Yin. I think Si Yin would be the most challenging for her tbh, not Bai Qian. Yang Yang does not have the coldness and matureness of both Ye Hua and Mo Yuan, but I look forward to his acting potential. Hope he will have a breakout. The visual is high on this movie. Had hope for Hu Ge to play this role, but it’s okay. Some freshness is good although Wu Yi Fan would have been a better alternative for me. He totally is more versatile than YY and would be able to transform more from Ye Hua into Mo Yuan. But I do admit, I am more pleasant to know it’s YY than Eddie Peng or Feng Shao Feng. @Anna I’m really just curious. Why do people like Wu Yi Fan so much? He’s had like, one acting role right? I mean, he’s got a bunch of upcoming projects and stuff, but it’s not like he’s had much chance to show off amazing skill, so why do people like him so much? Is it just anticipation? Has anyone seen this fanmade MV of LYF and YY? It’s very pretty. I saw a few on weibo but this one takes the crown. Beautifully done. That ending… *chills* These fans should be hired! That’s a lot of dedication right there. 1. Liu Yifei and YY are SO GORGEOUS in period costumes OMG. Truly ancient Chinese beauties right here. 3. Liu Yifei and YY look practically the same over the years – they must have awfully good genes cuz they age so well! Do you know what drama that is from? It should be Legend of Goddess Luo (新洛神). I know I never finished that drama. Lol. YY is gorgeous in period costume but he hasn’t made many period dramas. For his parts in the MV, the fans used footage from Dream of Red Chamber (2010), 新洛神 as Kappy already said, The Four (the one with Zhang Han and William Chan), and Lost Tomb. 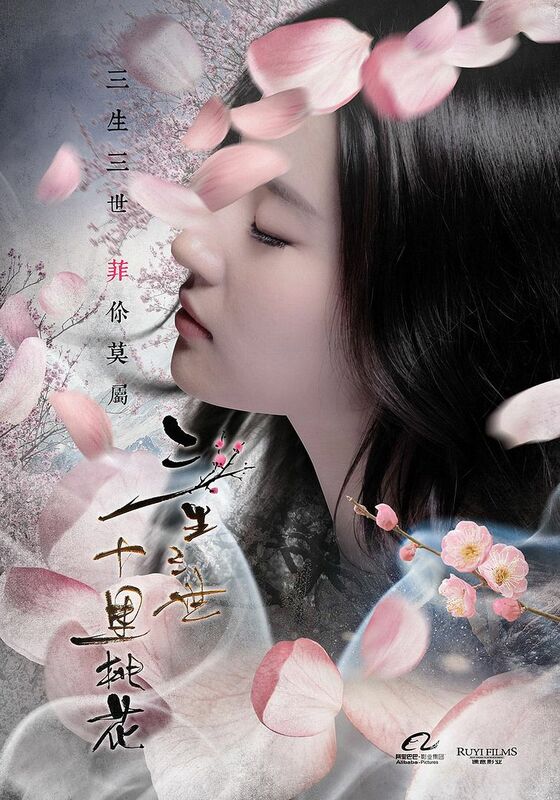 For Liu Yifei, I think they used footage from her previous dramas like Return of Condor Heroes, 天龙八部, and 鸿门宴 (movie). I’ve only seen Yang Yang’s The Four. He looks really good in Ming dynasty clothing. I’m really curious as to how he’ll look in Ye Hua’s entirely black ensembles. Thanks for the heads up but honestly it doesn’t surprise me cuz I never liked Tang7. She’s a NOTORIOUS plagiarist and her prose is a mess – she copies the words of famous masters and other internet writers and puts the bits and pieces together and tries to pass them off as her own. I’ve said this before in another thread about Guo Jingming, another notorious plagiarist, but yeah, for this reason I never have any respect for Tang7 because there’s no lower than plagiarists who make money off other people’s hard work. It’s basically stealing.